Jerry Dimitriou, the former head of administration at the Greek Orthodox Archdiocese of America who resigned from his post when news of the financial crisis emerged, has finally broken his silence. Dimitriou, who has worked for numerous Archbishops of America, resigned from his position, after numerous reports circulated about the dire state of financial affairs. Both inside the Archdiocese and in the media, blame was deflected from Archbishop Demetrios and placed on Dimitriou. 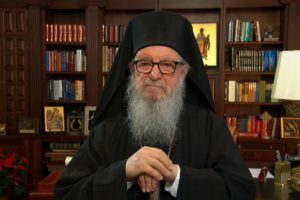 On Wednesday, January 24, 2018 at 10:30pm, Dimitriou sent an explosive letter to Archbishop Demetrios of America, copying every Metropolitan in the United States, as well as the Ecumenical Patriarch of Constantinople. In the letter, obtained in its entirety by The Pappas Post and verified for authenticity by Mr. Dimitriou, he claims that the Archbishop was complicit in numerous decisions and indecisions that led to the state of affairs today– contrary to the Archbishop’s claim he knew nothing. “I have watched as a difficult financial situation became a crisis for our Church – completely avoidable – because the good members of the legal and finance committees acted on misleading financial information supplied to them by those too far divorced from the process to understand it and the information they were supplying to their committees,” according to Dimitriou’s letter. The complete text of Jerry Dimitriou’s letter to Archbishop Demetrios of America is below. A verified copy of the letter that was sent, in PDF format, is here. I write with great sadness, disappointment and loss. And I write with fear: for myself, for my family and for our Church. For five months since my resignation I have watched, uncertain of what to do (in part because my resignation agreement with the Archdiocese prohibited me from speaking out) as unsupported assertions of overwhelming debt, huge deficits and missing funds circulated, unanswered by the Archdiocese. I watched to the point where my reputation and integrity have been called into question, and trust in the Archdiocese has eroded to such an extent that parishes are withholding their national ministries commitments to the national Church. I have watched as a difficult financial situation became a crisis for our Church – completely avoidable – because the good members of the legal and finance committees acted on misleading financial information supplied to them by those too far divorced from the process to understand it and the information they were supplying to their committees. Worse than that, I keep reading reports that you have said you knew nothing of the state of the finances of the Archdiocese and that I was responsible for everything. Were you not the Archbishop of America for the past 17 years? Did we not work together with Michael Jaharis and Manny Demos and many, many others to first solve the financial debacle that former Archbishop Spyridon plunged the church into? Did we not work together on the inherited bank debt of over $6 Million and a fiscal deficit in 1999 of close to $3 Million when you took over as Archbishop? Did we not retire ALL that initial debt and fix the deficit together? Did we not work together to settle multi-million dollar lawsuits against those clergy who had abused children and women that they were sworn to serve under Christ? Did we not work together to pay down over $17 Million in legal bills and settlements to take care of the burden they made for our Archdiocese? Did we not work together, with many dedicated lawyers and professionals, to create new misconduct policies and ensure their enforcement to protect both the faithful and clergy from these same types of situations? Did we not work together to restructure the Archdiocese finances to change the national ministries allocation formula of the Parishes from an income-based formula to an expense-based formula, making it a more fair system of allocation for the Parishes and thus increasing the Stewardship Revenue of the Archdiocese from $9 Million to over $20 Million in these 17 years? and costs? Did the Executive Committee and Clergy Laity Congress not approve those budgets and fund the ministries of the Church these past 17 years in open transparency? Did we not discuss, together and with others, the loss of our very dear beloved friends and major stewards of our Archdiocese, Mr. Michael Jaharis and Mr. Nicholas Bouras, and the very difficult financial situation their loss would place upon the Church? Did I not inform you that the loss of over $3 Million from their personal stewardship would have a direct impact upon the Church in America and the budget of the Archdiocese? Did we not work together, with Fr. Alex Karloutsos, Michael Jaharis and many other dedicated individuals over these past 17 years to fight for St. Nicholas Greek Orthodox Church at the World Trade Center? Did you and the committee you appointed not choose Santiago Calatrava as the Architect to build the Church? Did you not agree to all the design changes that were made by Mr. Calatrava? Did I not advise you and others that those changes would cost millions of extra dollars; dollars that would have to be raised and dollars that were not in the budget? Did you not sit in meetings with Mr. Calatrava discussing and ultimately agreeing to those changes and cost increases? Were you not told, before Mr. Calatrava was chosen, that if you choose him as the design Architect, the budget would surely be at least double what was originally estimated? If you were not aware of these financial situations of our Archdiocese as you claim, then who was the Archbishop I was working very close with these past 17 years? Who was the Archbishop that I considered a spiritual father and leader these past 17 years? Who was I serving, taking personal attacks for and standing up for these past 17 years? Who was the Archbishop I met with and spoke to thousands of times when we made these, sometimes very difficult, decisions? The answer, as you know Your Eminence, is yes you were aware, you did make decisions, you knew the facts of what we were doing and where our Archdiocese was headed. You are the Archbishop and you are responsible for these decisions; many of which are documented in letters and memos. I have served the Church for 30 years and you for 17 of those years. I have done so out of love and not for financial gain as you yourself can attest. You and Michael Jaharis asked me to return to the Church in 2000 from my secular job. As you know, I did not want to return, but to serve in other capacities. You both insisted and knowing my love for my Church and the Archdiocese, I returned as Executive Director, not as Chief Financial Officer as many in the press seem to think. Again, five years ago I came to you and told you I was leaving the Archdiocese for a secular position and I would give you 6 months transition so you could fill my position. You and Michael Jaharis pleaded with me to stay on and not leave the Archdiocese and then offered me a contract to stay. A contract that was negotiated in good faith by me and the Archdiocese through our mutual attorneys, all because you wanted me to stay with you as Executive Director until you left the Archdiocese. Now is the time, Your Eminence, to speak out in truth and love. The first step you can take is to acknowledge the decisions you made as The Archbishop and as our spiritual and administrative leader – decisions of which you were fully aware and in which you participated fully. me would have averted some of the crises you face today. A clear example was the termination of the construction contract for St. Nicholas by Skanska because no one bothered to sign the suspension agreement I had negotiated and to which Skanska had already agreed before they fully terminated their contract. A decision that will cause the St. Nicholas budget to expand exponentially should the restart of construction be delayed any longer. Another example was termination of the 40-year relationship of the Archdiocese with Chase Manhattan Bank because apparently no one bothered to negotiate and discuss our situation with them as you and I had done many times before. Third is to acknowledge your full involvement in the entire process of the rebuilding of the St. Nicholas Church at Ground Zero, and the hundreds of briefings that I gave you over the years, keeping you fully and completely informed as to the status of the rebuilding effort – including each and every change made to its design, all of which you personally approved. 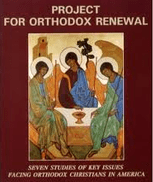 Fourth is to convene a structured process involving Your Eminence and a representative of the Ecumenical Patriarchate, the new management of the Archdiocese, the new CFO, and me in order to seek out the facts as they relate to the financial condition of the Archdiocese; with special emphasis on the fiscal operating deficits, and the allegations of misappropriation of monies, some of which have been directed at me, and which I categorically deny. This process will also ensure that correct and complete information is made available to any audits or special investigations that may be underway. I challenge the false claims and the false numbers that have been irresponsibly leaked to the press and would like them to be corrected, verified and then properly and fully released to the public. Your Eminence, I am a son of my Archdiocese and have spent almost my entire professional career serving my Church, my Archdiocese, Archbishop Iakovos and Your Eminence. I have given my life protecting my Church, my Archdiocese and my Archbishops! The last place I want to be is on the opposite side of my Archdiocese. You know my heart and you know my commitment to my Church. I am pleading with you to allow me the opportunity to clear my name and to provide clarity and understanding of the finances of our Archdiocese for those who don’t understand them. I repeat: I was and am fully prepared to share my full and complete knowledge of the finances of the Archdiocese and the rebuilding of St. Nicholas in the framework of a fair and objective process that has as its aim the truth. What I am not prepared to do is to remain silent and permit myself to be the scapegoat. I take no joy in writing this letter. I know the road ahead is a difficult and sad one for all of us – for you, for me and my family, and most of all for our community. I take comfort however if the facts are made known and fully understood, our faithful will rally around and support the good works of faith and ministry that are being performed by the many dedicated and faithful people of our Church and those who serve it. The inconvenient truth is: someone is lying. The Manhattan District Attorney needs to convene a grand jury to hear from all the actors under oath in this growing, messy scandal, and return indictments, if needed. The possibility of criminality cannot be overlooked after all of this. A larger problem going forward: there is no reserve” bench” from which to choose an authentic, well-trained, accountable, transparent, managerially competent, humble, American (not a slave to Greek foreign policy) hierarch and true servant-leader successor to the present regime. Unfortunately, it will be nearly impossible to find a suitable candidate anywhere from the ranks of Bishops and Metropolitans of America, Canada, Europe, Central and South America or Turkey. I don’t know if anyone from Asia or Australia can fill this position, but I have doubts that’s the case. The “Greek ‎ World” (Athens, Cyprus, Istanbul, and the worldwide Greek Orthodox hierachy) is now scared silly that we “Amerikanakia” have finally had enough with the abuse of money, authority, and foreign government interference (Greece and Turkey) to declare ourselves a Self-Governing American Church , as are Greece and Cyprus. It is so very overdue for us. Istanbul’s response to this mess will be, by the textbook Byzantine model, that is, to have the next very Greek archbishop here stuff everything “Greek”down our throats 24/7 to remind us that OXI Day, bouzoukia, March 25th, Greek Festivals, all Greek government political and economic issues, and 3 hour all Greek Divine Liturgies for ladies over 90 years of age are more important than vibrant, growing, thriving congregations of American Greek Orthodox English-speaking and evangelizing worshippers who are governed by American, not Greek Byzantine, values. 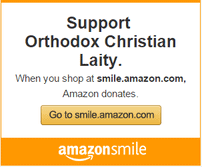 We need to: Make the American Greek Orthodox Church Great Again! ‎GOGA! Two footnotes: First, the archdiocese press release (https://ocl.org/greek-archdiocese-committed-to-total-transparency-and-accountability/) boasts about bringing in “Kiwi Associates”‎ to review the payroll records, as if it’s now all “fixed” and, as if, the archdiocese is to be congratulated for transparency and accountability and hard working solutions. Kiwi is merely an outsource accounting firm, mostly to non-profits. This is no fix, it’s an admission that the enterprise had no internal/organic and legitimate bookeeping and accounting expertise after being in business for 90+ years and it needed emergency room accounting triage. So, this is similar to shutting the barn door well after the horses have escaped. Kiwi has now laid out all the red ink in the payroll. Okay,great. So, who in NYC is going to jail ? Recall that the archdiocese’s own auditors gave them “management concern” letters at least 3 years in a row. So, which hierarch got fired? Which lay person has been sued for misappropriation of funds? Why hasn’t the archdiocesan council been asked to resign in shame by an enraged laity? Who owns this mess? It’s so like the archdiocesean princes to be taking bows over nothing. Perhaps, the archbishop will be awarded the Athenagoras Humanitarian Award by the Archons for being the real hero here. Tickets on sale now. Good grief! Second footnote: Jerry Demetriou’s letter to the archbishop references episodes where (my words to the effect follow) “Fr. Alex and I discussed‎ with you (the archbishop) the changes to St Nicholas and costs, the architect, blah blah blah”. Jerry thus seems to contradict an assertion by Fr. Alex in his prior letter to St. Nicholas donors (after the scandal broke) that , again, my approximate recollection of the words, “everyone knows that I (Fr. Alex) work only on the fundraising side not on the expense side”. Is Jerry asserting that Fr. Alex knew more about the “expense side” and thus informed the archbishop much earlier on? If that’s true, the archbishop has not been truthful about when he knew things were unraveling. That’s why we need a grand jury convened Our American Rule of Law and sensibilities, not a Byzantine hall of mirrors, must prevail. “Οταν ο Ρωμιός κάνει καβγά, ο Τούρκος τρώει χαλβά”.